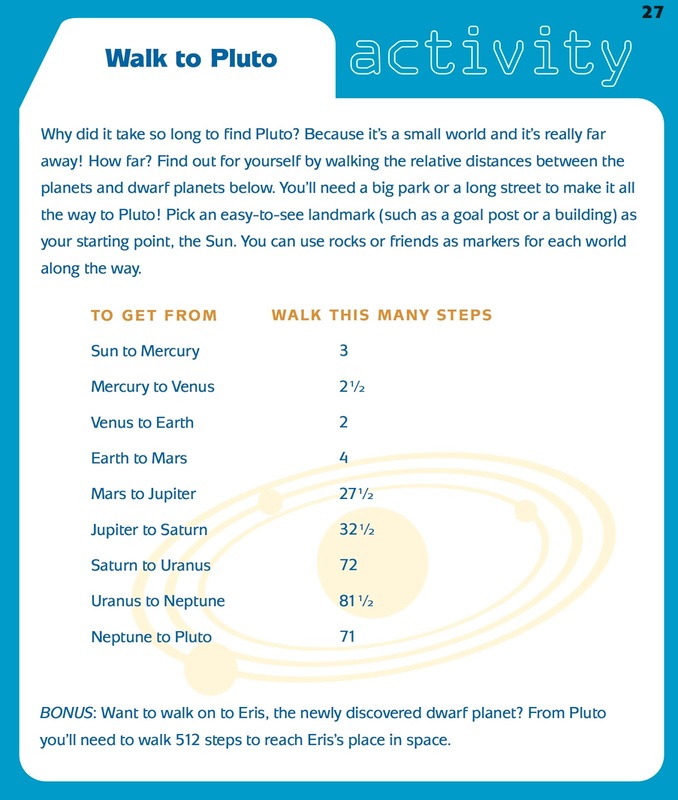 HANDS-ON-BOOKS: Nonfiction for Kids with Fun Activities: Get Ready For Pluto! It's almost Pluto time! On Tuesday July 14th at 7:49AM EDT the first-ever spacecraft to visit Pluto will make its closest approach. 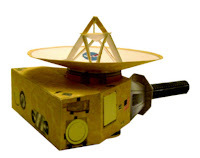 New Horizons is a robotic spacecraft about the size of a grand piano. It left Earth way back in 2006 and has been speeding across the solar system ever since. After nine and a half years and three billion miles (that's billion with a B, folks), New Horizons is finally in the home stretch. Planetary scientists and astronomers are already collecting data and images never before possible. We will all learn lots of new amazing facts about Pluto, its big moon Charon, and the system's four little moons Nix, Styx, Kerberos, and Hydra. You'll be able to read all about the discoveries in my upcoming 2016 Scientists in the Field book, Mission to Pluto! Here's how to make sure you're tuned into the action, as well as some fun activities to share. A terrific way to track where New Horizons is in real time is NASA's Eyes on Pluto. It's a phenomenal visualization tool with a computer image of the spacecraft as it nears the Pluto system and you can watch as it scans Pluto during encounter with different onboard instruments. NASA television will carry full coverage of the flyby on July 14. "Arrival at Pluto" starts at 7:30AM. NASA TV is carried by some cable and dish providers and streams online and on most devices. There are tons of great resources for educators on the New Horizons website, including activities for K-12 and fun downloadable paper models to assemble. The one at right is a one-twentififth scale paper model that's available as a printable PDF. (You'll need the instructions, too.) It's packed with information about the spacecraft, too! Last, but far from least, here is an outdoors activity to help young people (and the rest of us!) comprehend just how far away the Pluto system is. 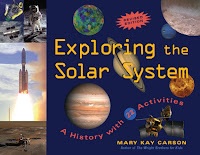 It's from my book Exploring the Solar System: A History with 22 Activities. Go New Horizons, go!